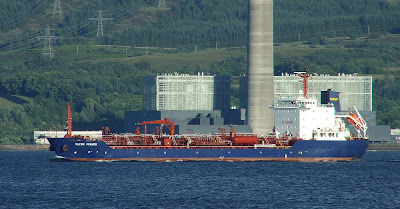 Another cargo of fuel for the Kaneb depot at Rothesay Dock arrived this evening aboard Fisher's tanker CLYDE FISHER, inbound from Amsterdam. This tanker has been seen several times on the river, most recently in April. Kaneb Terminals have been renamed NUSTAR, but still the same owners I believe.